Understanding the doctrines of grace will give you a clearer picture of God’s sovereignty. From the lawgiver Moses to the apostle John, and from the early church fathers to modern defenders of the faith, there has marched onto the stage of human history a long line of godly men, a triumphant parade of spiritual stalwarts who have upheld the doctrines of grace. 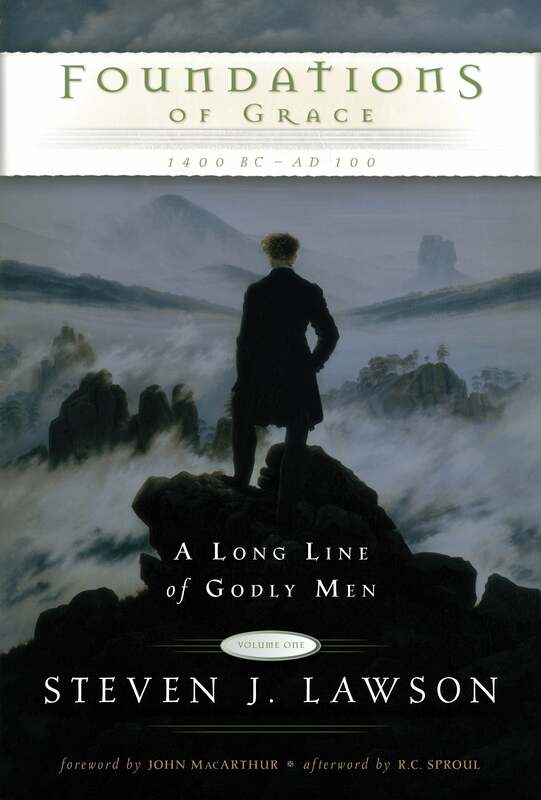 In this book, the first in the three-volume A Long Line of Godly Men series, Dr. Steven J. Lawson takes you on a heart-stirring survey of the Scriptures to show that the Bible in its entirety teaches the doctrines of grace. — Dr. R.C. Sproul, Minister of preaching and teaching, Saint Andrew’s Chapel, Sanford, Fla.
— Dr. D. James Kennedy, Senior Minister, Coral Ridge Presbyterian Church, Ft. Lauderdale, Fla.
— Dr. John MacArthur, Pastor-teacher, Grace Community Church, Sun Valley, Calif.
— Dr. Sinclair B. Ferguson, Senior pastor, First Presbyterian Church, Columbia, S.C. I thank God for men who will stand up and fight for the truth presented in the Word of God. This book shows the Doctrines of Grace from Genesis to Revelation. God is glorified in this work by Dr. Lawson and will continue to be by those who read this book. I could hardly put this book down until it was finished. After being a follower of Christ for nearly 25 years, I stumbled on some writings of A. W. Pink. What he had to say was so replusive to the theology I was taught, but it was simply the truth - Jesus Saves, alone. Steven Lawson's book was so well written because it starts with the Scriptures and how they are rooted in the Eternal Purpose of God. I wait with intense anticipation the next in the series. Living in NJ, it also deeply affected me when I learned how Princeton and Rutgers have lost their lofty foundations. I've often hear Lawson speak about the unbroken line of faithful ministers of God's word. This looks like it will be a fantastic series. I can't wait to get my hands on this book. The Doctrines of Grace were never more appealing! Finally a Book that not only teaches us the Doctrines of Grace, but one that does it in a way that all of us can understand, and apply to life! This book had me glorifying God literally from the start. A Must read, for those who love Truth! Outstanding work that is a must have! The first in five volumes, I highly recommend this book to everyone. 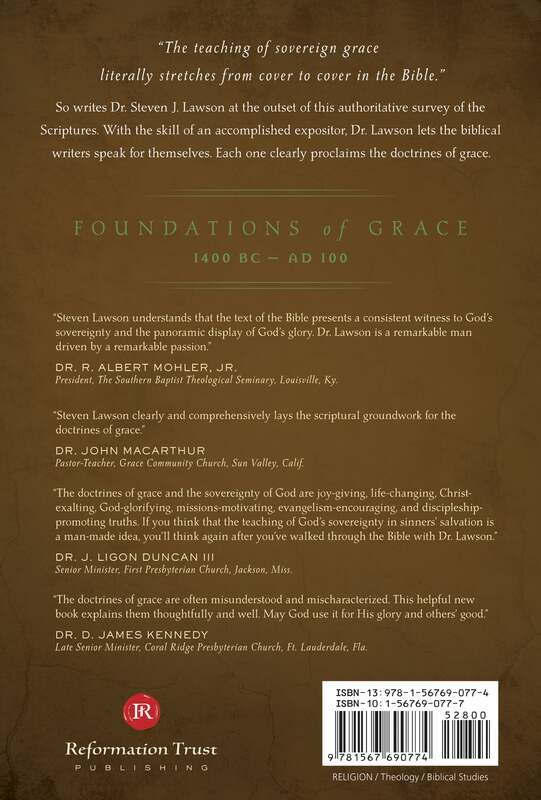 Dr. Lawson covers every verse that deals with the doctrines of grace, Genesis to Revelation. This book is awsome. We are working through this book in a mens bible study. I can't wait for the others to come out. Is there a proposed date for the next to come out? The church needs to get back to this TRUTH. Thank you so much for writing this book that is so much needed in our time. The church needs to get back to the truth of Gods word. The doctrines of grace are all over scripture. Can't wait until the next volume comes out.